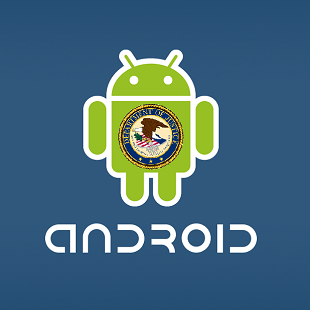 Two men convicted of pirating over one million Android apps over two years. For the first time ever, the Department of Justice has landed a conviction tied to mobile app piracy. Two men pleaded guilty to one count each of "conspiracy to commit criminal copyright infringement." Nicholas Anthony Narbone of Orlando, FL, and Thomas Allen Dye of Jacksonville, FL, were the operators of Appbucket, a popular Android app piracy website. Over the course of two years from 2010 to 2012, the men pirated over one million copies of Android apps while pocketing $700,000 for their troubles. The maximum prison time attached to the charges is five years in prison. Others were charged stemming from the same investigation, but names were not released. "The wholesale theft of intellectual property as seen in this case cannot and will not go unaddressed," said J. Britt Johnson, the Atlanta-based FBI Special Agent in Charge of the investigation. "The FBI will continue to work with its various law enforcement partners in identifying, investigating and presenting for prosecution those individuals and groups engaged in such criminal activities that involve the attempt to profit from the hard work and the developed creative ideas of others." Mobile app piracy does not garner the same kind of attention that movie and music piracy does, nor has it been treated with the same gravity in the justice system, until now. Hopefully these convictions help to close a gap that's been open for far too long.